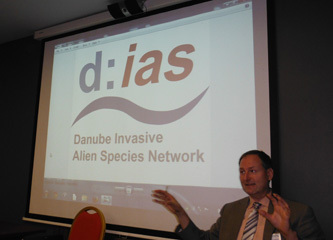 ESENIAS was co-organiser of the Danube Region Invasive Alien Species Network (DIAS) Kick-off Meeting, which was held on 9-10 October 2014 in Sofia, Bulgaria. The purpose of this meeting was to bring together scientists, stakeholders and authorities to discuss the status-quo, and most urgent present and future needs to efficiently tackle the issue of invasive alien species (IAS) in the Danube Region. The idea behind is to join forces, to establish a Danube Region-wide network and to develop a mid- and long-term strategy and work plan in order to significantly improve the situation, to establish links between science and policy level and to develop individual but coordinated projects in the single regions. Institute of Biodiversity and Ecosystem Research, Bulgarian Academy of Sciences (IBER-BAS, Sofia, Bulgaria). 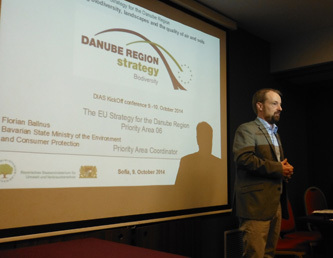 The Workshop was supported by Priority Area 06 of the EU Strategy for the Danube Region. The Workshop brought together 38 representatives from 10 countries (Austria, Bulgaria, Croatia, Germany, Hungary, Romania, Serbia, Slovakia, Turkey, Ukraine), the JRC, and Priority Area 06 Coordinator – EUSDR. These also included representatives of research institutions, universities, environmental protection agencies, ministries, as well as NGO working on invasive alien species. Teodora Trichkova will be a focal point for the Lower Danube River, including the adjacent Black Sea region. 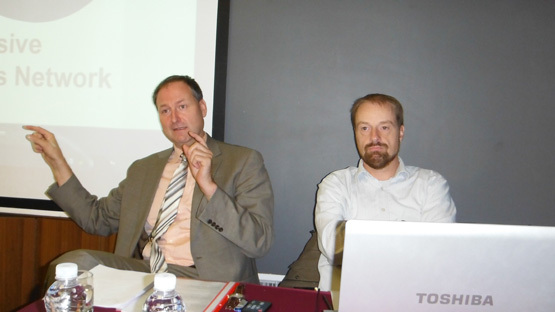 The first step of DIAS activities will be the preparation of a Strategy for IAS in the Danube Region. The strategy will present the long-term vision of DIAS and will formulate the mission statement and objectives, representing the main idea – to connect people and connect data on IAS. The strategy will be a frame for the work to be done for the next 10 years, will define more concretely some topics and will define where are the gaps, and where DIAS can contribute. The strategy will follow the EU Regulation on IAS, but at the same time will consider the demands of the region. A team for the preparation of the Strategy draft was selected.